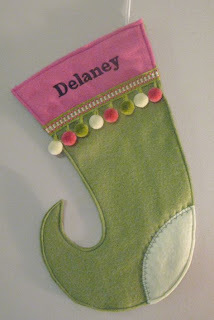 Looking for a few new whimsical Christmas items to add to your decorations? I have the perfect items for you! 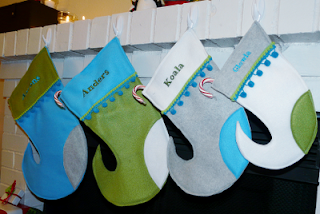 The items that I have for the holidays are stockings and ornaments. 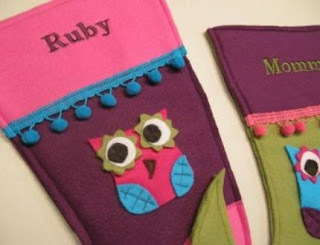 They are all made of fleece and felt and can be purchased as is, or can be customized or monogrammed with any name. 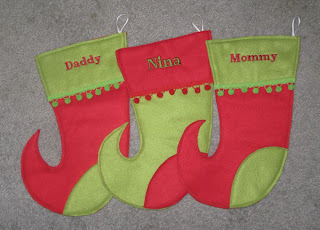 I made some red and green ones for a family and their newborn daughter in traditional red and green, and they turned out so cute! 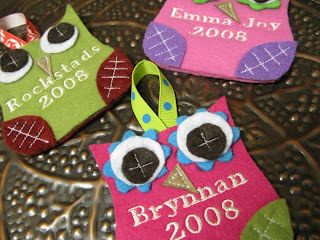 I also did a group of four for Faeriedtreasures, a wonderful etsy seller. 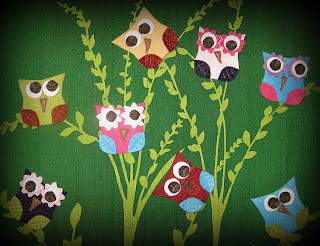 She posted a picture of what they looked like in her home, and they are so cute! Check out her shop at http://www.faeriedtreasures.etsy.com/. She has beautiful unique pieces of jewelry that will meet you needs for the women in you life. 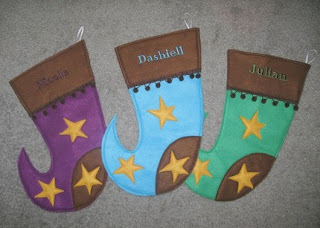 I completed an order for a family that chose stars for their stockings, and they turned out wonderful! 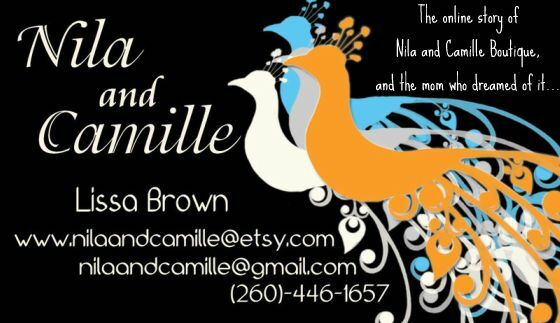 If you are interested in decorating in Nila and Camille style you can convo me at http://www.nilaandcamille.etsy.com/, or you can email me at nilaandcamille@gmail.com and order your custom piece. And because I know that it is important to have these items as soon as possible, I will pay to ship them....at no cost to you, and they will be completed with 2 days of your order!